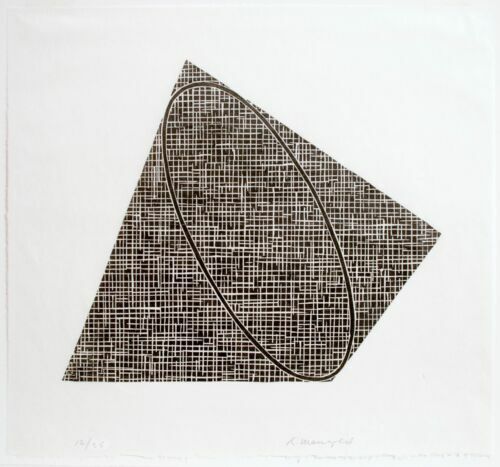 Robert Mangold: Semi-Circle IV, 1995. Signed, Limited Edition, Fine Art Print. Robert Mangold: Semi-Circle III, 1995. Signed, Limited Edition, Fine Art Print. Robert Mangold: Untitled, 1989-90. Signed, Numbered, Woodcut, fine art print. Robert Mangold: Pages, 1989. Set of 12, Signed, Numbers, Portfolio of 12 Prints. 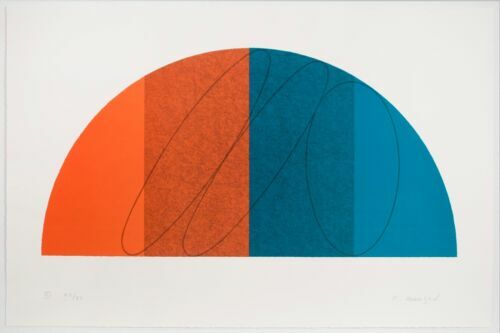 Robert Mangold: Semi-Circle I, 1995. Signed, Limited Edition, Fine Art Print.